"Anyone considering a practice week with Scott and Ida should stop considering and immediately sign up: they are both amazing beyond my powers of description." "If you really want to learn then go to practice week. Just be prepared, however, you may learn more than you bargained for. Since studying with Ida and Scott my life is different and am venturing into the best work ever of my life." "This is by far one of the best trainings I have had the pleasure to take and highly recommend them for any level of student or teacher who is looking for scientific based spirituality in their yoga practice and teaching." Immerse yourself in practice for 7 days of personal growth. ​Intensive yoga practice and study. Each day consists of two physical/asana practices, including Intermediate and Advanced asana, Pranayama, Meditation and discussion. ​Discussions include philosophy, anatomy, physiology, history, theory, progressing your practice and developing a home practice. Our greatest progress comes from periods of immersive practice and study. It is these periods that give our everyday lives the inspiration they need to keep moving forward. Practice Week is an opportunity to progress beyond the basics of beginning asana/postures, not only into more advanced asana but into deeper yogic practices of breath, energy and mind. This is a time to deepen your personal relationship with the practices, focus on personal growth and integrate the exercises into your body and mind. Because we expect many teachers to be present, we will cover some aspects of teaching this yoga. But this is NOT a teacher training. Each day includes practice of therapeutic exercises, asana, and Pranayama. ​Practice principles, Intermediate & Advanced approach, how to use the warm-up exercises, reciprocal inhibition. 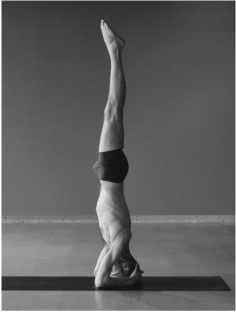 Yoga history, Ghosh lineage history, common yoga injuries, their healing and prevention. Lotus, lotus anatomy and preparation. Two sessions each day: 8am-12pm, 2-6pm. We will begin at 8am on Sunday and end at noon on Saturday. Practices and discussions are led by Scott Lamps & Ida Jo. 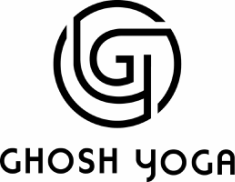 They both hold the title Yoga Acharya (Master of Yoga) and are partners with Ghosh's Yoga College in Kolkata, India. They are the authors of the Ghosh Yoga Practice Manuals, the editors of Buddha Bose's lost manuscript 84 Yoga Asanas, and the editors of Gouri Shankar Mukerji's ​84 Yoga Asanas. An established yoga practice is required to attend the Practice Week. Discussions will benefit from at least a passing knowledge of yoga history, traditions and practices of yoga. 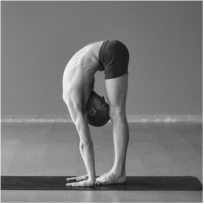 ​If you are a beginning yogi, we encourage you to practice regularly, be curious and discerning. Come join us at Practice Week in a year or two. Practice Week qualifies for 52 hours of Continuing Education Credit with the Original Hot Yoga Association. You will receive a certificate upon completion. Sign up by Dec 23, 2019 for early bird pricing.